Join Us August 3 at Balboa High School! 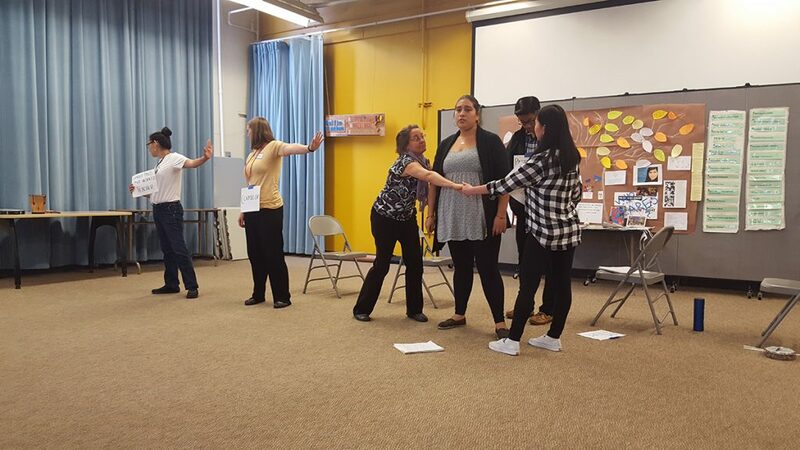 Join us on Thursday, August 3, Noon – 1:30 at Balboa High School in San Francisco to see the culminating presentation of our Institute participants and take part in the follow-up Q & A session. We’ll have been delving into the significance of the Universal Declaration of Human Rights (UDHR) and Human Rights Education as tools to encourage empathy and commitment to solve complex issues while promoting equality, justice and human dignity for all people. It will be great to have you take part! Date and Time: Thursday, August 3, 12:00 – 1:30 p.m. Enter from the rear west side of the school on Otsego Ave., which is the unlabeled street between Oneida Ave. and Onondaga Ave. shown on the map below. You will see a small parking lot just in front of the entrance to the Green Room, and a TWAICB sign.